Note: While we agree with much of this analysis we believe it lets President Obama off the hook. He has been going along with deficit talk throughout his presidency. He appointed a Deficit Commission, where he appointed people who want to Social Security and Medicare as well as other social programs. He pushed for cuts from the so-called ‘super committee; and he tried to negotiate a ‘grand bargain’ with Speaker John Boehner which would have cut Social Security and Medicare. The committee that proposed this included bi-partisans, Sen. Patty Murray a Democrat from Washington deserves as much blame for this disastrous budget as Rep. Paul Ryan, a Republican from Wisconsin. This is a bi-partisan reality in Washington and it is important for Americans to realize this is the reality we face. Austerity is holding back our economy — and that’s the plan. There is simply no other way to explain it. Republicans know voters blame (or credit) the party of the President for the economy, and they are doing everything they can to make things as bad as can be. This new “budget deal,” for example, holds the country in full austerity, with spending lower than even the original “Ryan budget” that shocked everyone. Austerity kills economies and jobs, and they know it. We know it, they know it, everyone knows it. 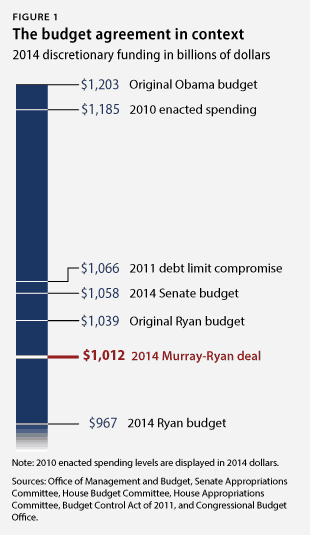 It is obvious in front of our faces, and Republicans continue to force cuts — with many Democrats going along. Since the financial collapse government spending has been cut and the results have been terrible for the economy. 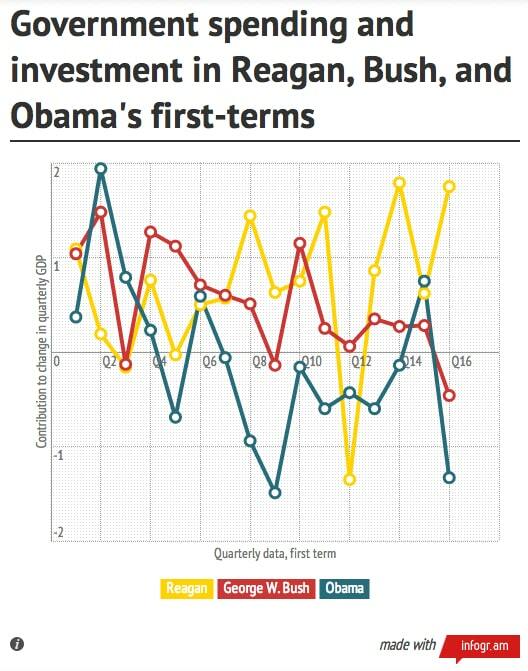 Under every previous President government spending and hiring propped up the economy until recovery was underway. Republicans as well as Democrats understood this is how it has to be done. Until now. Under Reagan and ‘W’ spending went up. This helped the economy get out of recessions. Under Obama, with a much worse recession, Republicans forced spending to go down. 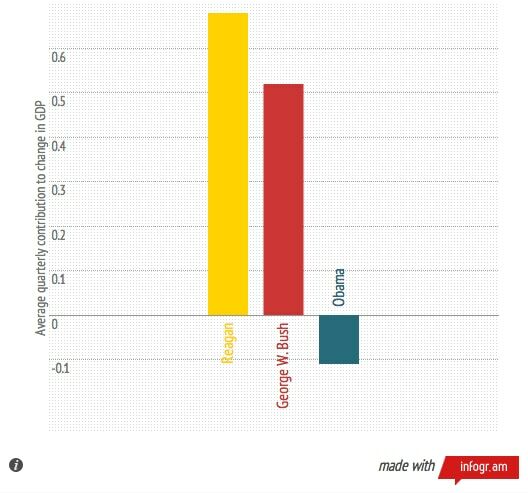 So yes, the spending cuts are obviously hurting the economy. “Awesomely destructive.” And you can see it. The stimulus took us from losing more than 800,000 jobs each month to gaining jobs every month since. It completely turned the situation around. But then it stopped and Republicans were able to force austerity and kill off the recovery. 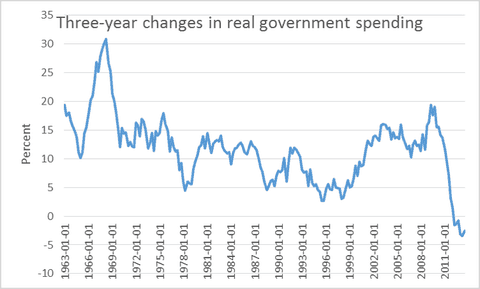 So that’s the story of what has happened to government spending as Republicans impose austerity. Down down down. Now we have a “budget deal” (that even leaves out help for the long-term unemployed and doesn’t replace the “Hunger Cliff” $5 billion Thanksgiving Food Stamp cut, etc…) This next chart shows where this budget deal fits with earlier budgets proposals. This chart from Calculated Risk shows how government hiring pulled us out of previous recessions, which government firing is holding us in this one. 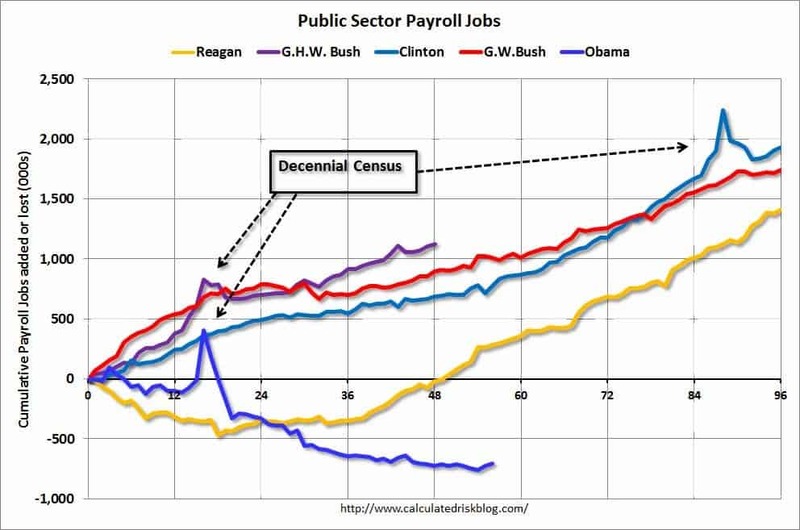 Key point, Presidents Reagan, GHW Bush, Clinton and ‘W’ all increased public hiring to help get us out of recessions. But under Obama and austerity the public sector has lost 703,000 jobs. The public sector grew during Mr. Reagan’s terms (up 1,414,000), during Mr. G.H.W. Bush’s term (up 1,127,000), during Mr. Clinton’s terms (up 1,934,000), and during Mr. G.W. Bush’s terms (up 1,748,000 jobs). However the public sector has declined significantly since Mr. Obama took office (down 703,000 jobs). These job losses have mostly been at the state and local level, but more recently at the Federal level. This has been a significant drag on overall employment. So let’s take bets: do you disagree that Republicans are planning to campaign in 2014 by saying that the terrible economy is Obama’s fault? PS: Some of these charts are from Three Charts That Show That Republicans Have Won The Budget War by Danny Vinik, who writes that “the fact of the matter is that the GOP has won the budget wars.” Let’s see if they take credit for the economy and terrible human pain they are causing. When I see Murray and Ryan laughing and smiling together I know the country is screwed. I don’t need charts and graphs to tell me we are headed for a disaster. Everybody got a cut except for the offense department.